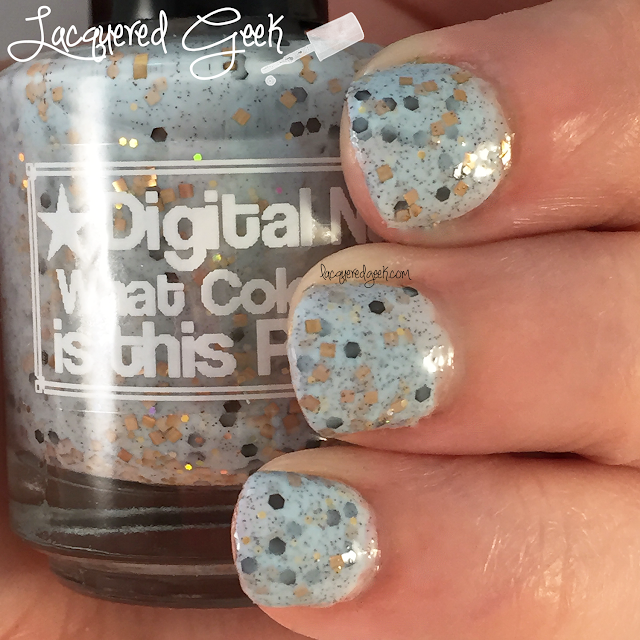 Lacquered Geek: Digital Nails: What Color is this Polish? Hi guys! I recently participated in my first RedditGift exchange. I'd been wanting to join, but kept missing the deadlines, but when I saw that one of them this round was Nail Polish, I knew that I had to join in! I've been seriously stalking the gallery page to see what my giftee says about her gift! 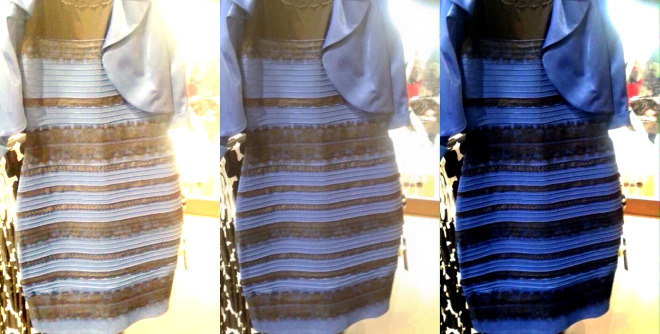 So a few months ago, a certain ugly dress swept the internet. Twitter and Facebook were abuzz with with debates over its color - blue & black or white & gold. I personally saw it both colors, and that drove me crazy! 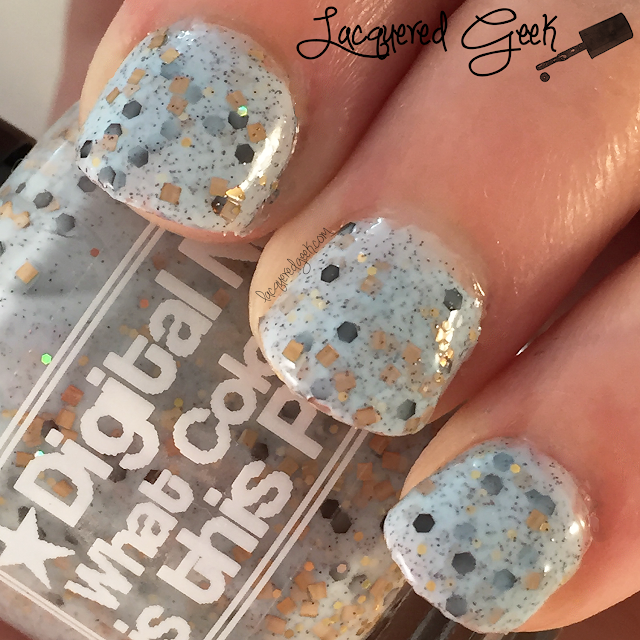 As all of the craziness was going on, Raph from Digital Nails created two polishes that resembled the dress. She'd initially made them just for herself, but shared swatches of them in a fan group, and most of the members wanted to buy them! She ended up mixing up a batch of each color, and I was lucky enough to snag them both. 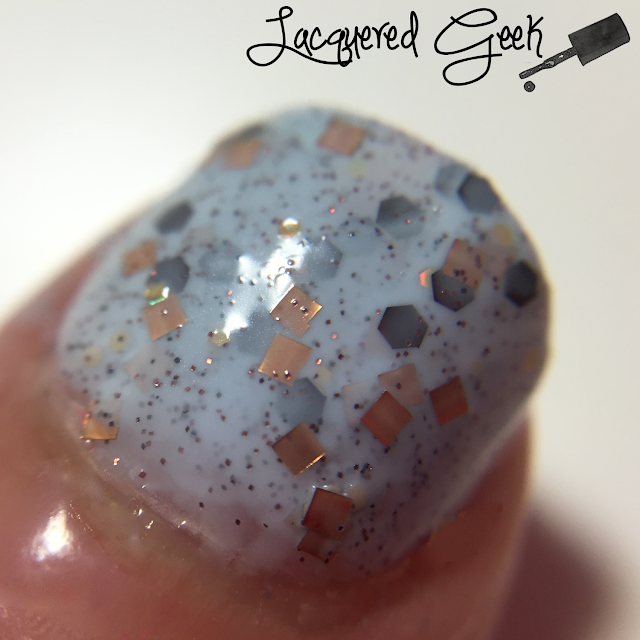 Today, I'm going to share the white/gold version of the polish. What color is this Polish? 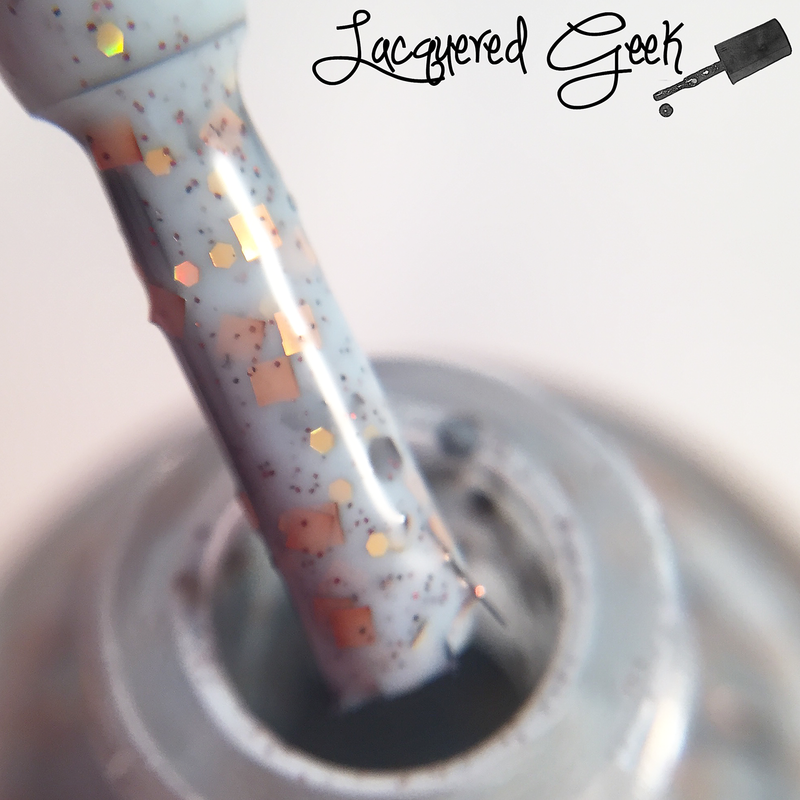 (white/gold version) is a murky white/grey crelly with loads of dark brown, gold, and bronze glitters and brown microglitters. The formula is a little on the thick side because it's full of glitter. It does dry a little on the matte side - not full matte but it'll need a top coat to be super shiny. I used 2 coats with a top coat for these photos. Since this was a small batch, it is no longer available. But maybe you can find it in a destash sale! So what color did you see when you saw "the dress"? Have you participated in any RedditGifts exchanges? 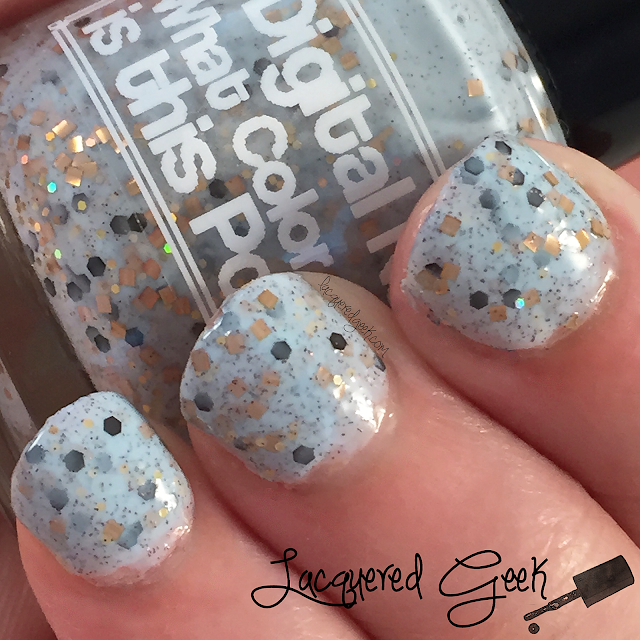 I had wondered if anyone would make a polish from that whole thing! Cute! (I personally saw both, depending on the lighting of the room I was in). Haha! I bought the #teamblueblack shade. I still love them both! When I saw the dress I saw blue and black. I love that someone made a polish about this and a pretty one at that! I totally fan girled and bought both. I love Digital Nails so much! I use her top coat on just about every single manicure I wear. Oooooh, tell me more about Reddit gift exchanges! Also, I am such a sucker for square glitter and I LOVE the gold square glitters in this. Yes!